When you are looking to buy a serious piece of home fitness machinery it's a pretty good idea to put in some serious research beforehand. 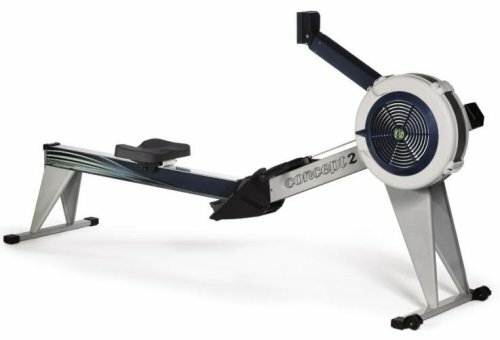 By now you have probably arrived at the conclusion that the right machine for you will be either that of the Model D or the Model E rowing machines from Concept 2. However, with a bit of a price and feature gap between the two machines it can be somwhat difficult to decide which one is right for you and your specific needs and preference. In this comparision account we take will take a look at these two rowing machines, analysing and contrasting their features and honest and accountable customer reviews to provide you with a recommendation and the information you will need to make the right decision. 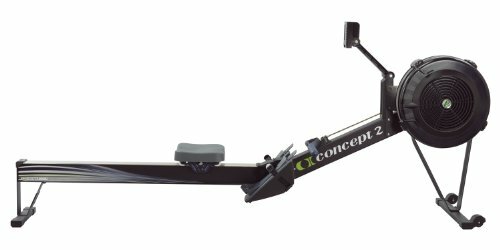 This rowing machine from Concept-2 features a nickel-plated stainless steel chain, a performance motor 3 monitor and separates into two separate pieces for easier storage and transportation. For comfort it offers adjustable foot-rests as well as an ergonomic handle for an improved rowing grip. Like all of Concept 2's larger machines it features a 5-year frame warranty, which protects against any bending, warping or breakage of the main frame elements. Installation is fairly simple with the frame and extra simply snapping into place and many customers report that delivery was very prompt. Moreover, it features a specific 'flywheel' design in order to make the operation of the rowing machine almost silent whilst exhibiting a 'smooth' sensation. The Model E takes the features of the Model D and improves upon them a by a pretty decent margin in fairness. The first improvement is that the flywheel is designed to be as quiet as possible without sacrificing that 'rowing feeling' (even more so than what Model D offers) -- so if an almost silent indoor rowing machine is important to you, this is certainly a machine worth looking at. Another upgrade is that instead of the PM3 monitor this model features the PM4. This monitor incorporates a chest belt heart rate transmitter so that it can monitor both your rowing speed, strength and your pulse to give you an accurate impression of the effectiveness of your workout. This monitor also supports machine-to-machine racing as well, so you can compete with a friend as well as with yourself. All of this fits into the roughly the same size frame which takes up about 9 x 4 feet of floor space. Like the Model D this machine features a 5-year frame warranty as well. Both machines review extremely well by customers who purchased and used them. The Model D scores an impressive 4.9 out of 5 stars on Amazon, with over 250 customer reviews. The Model E is comparable with an average review score of 4.5 out of 5. Comparing all of the features and customer reviews it's hard to deny that both machines are very similar. However, since there is a sizeable difference in price it's important to consider the things that are different before you decide which machine is right for you. The first important point of difference is noise. Although the Model D is not particularly loud it is not suited to a small room or a house where other people might be bothered by the noise when it is in use. However, Model E is much better in this regard and this means it can often be used without bothering others (or yourself). Now a cheap solution to the minor problem of noise caused by Model D is to simply get some ear plugs but this might not be preferable for everyone. If noise is a serious concern for you then the Model E may well be worth the extra cost on this fact alone. Gym owners that have small rooms with lots of machine should probably opt for the Model E if they can afford it. Although a gym is typically expected to be noisy, multiple machines in use can be a bit much for some patrons. The other point of difference you should consider is the monitor; the PM3 vs the PM4. The PM3 has a good features list and should be more than enough for most home or casual users. However, athletes looking to train or serious gym goers will really appreciate the added monitor features of the PM4 on the Model E. Accurate heart rate monitoring is pretty crucial with this sort of exercise and having it integrated into the built in monitor is a great convenience. If you or your patrons are serious about their hobby or sport then you should be seriously considering paying more for the Model E. I and my gym partner particularly enjoy the race-on-race feature that the PM4 offers. Last to consider is the seat height, as seen in the video summary below -- the Model E's seat is a fair bit higher than that of the Model D, which lends itself particularly well for those who have mobility issues and are concerned with the general ease of getting on and off the rowing machines. This however, is of course not an issue for those who are fit and mobile with either model being suitable. 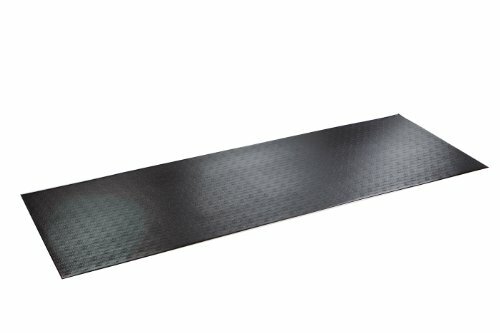 When purchasing an indoor rowing machine it is worth considering in investing a PVC mat that will ensure the flooring doesn't suffer with any damage as well as ensuring the machine doesn't slip etc. (although this is highly doubtful, given the sturdiness Concept 2 machines are integrated with). The supermats 3 ft by 8.5 ft is the perfect size to fit the models and ensures in prolong its life further through prevention of carpet dust enterin.